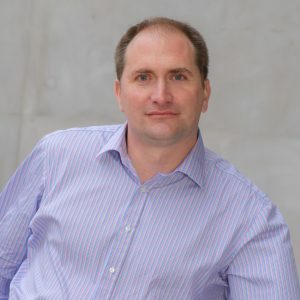 Alex Newman is Associate Dean (International) at the Faculty of Business and Law at Deakin University. Prior to coming to Australia, he worked in China and Japan. Alex conducts research in the areas of organisational behaviour, leadership and entrepreneurship. His research has been published in leading international journals such as the Journal of Organizational Behaviour, Journal of Applied Psychology, the Leadership Quarterly, Human Resource Management and Entrepreneurship, Theory and Practice. Andrew has been Dean (Research) and Professor of Political Science in the Griffith Business School since 2016. 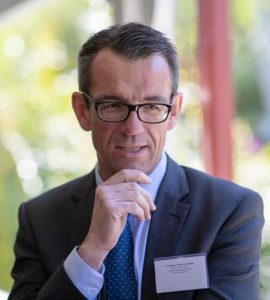 His former roles include being Head of the School of Government and International Relations (2014-2016); Director of the Griffith Asia Institute (2010-2014); and Associate Head (Research) in the Faculty of Social Sciences at Flinders University. Before entering academia, Andrew worked in Australia’s Department of Defence. Andrew’s research expertise focuses on the intersection of strategic, political, and economic change in the Asia-Pacific with particular emphasis on the security dimension of international relations. He was on the Australian Foreign Minister’s National Consultative Committee on National Security Issues and is a former advisory board member of the Lowy Institute’s G20 Studies Centre. Andrew, a former Editor-in-Chief of the Australian Journal of International Affairs, is now on the editorial boards of the Korean Journal of International Studies, the North Korean Review, the Journal of Intelligence History and Security Challenges. Kate is Associate Director for the Faculty of Business and Law at the University of Newcastle. 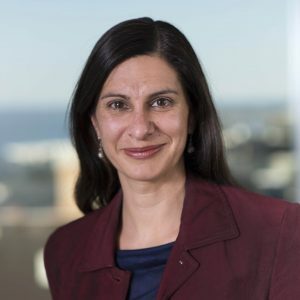 She has worked on a range of major projects, including the relocation of the Newcastle Business School into a new $95 million CBD campus; research into increasing Indigenous participation in business education; the development of a career development network for women in business, finance and law; and the establishment of corporate partnerships to deliver enhanced graduate outcomes and benefit the wider community. 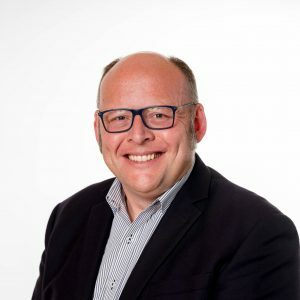 Stuart is the Associate Dean Learning and Teaching with the Tasmanian School of Business and Economics at the University of Tasmania (UTAS), and researches and teaches in the areas of marketing, strategy, and entrepreneurship. He completed his PhD in 2010, with his dissertation exploring strategic issues facing small to medium size business competing in the tourism industry – specifically exploring the marketing resources of firms, and the use of network relationships to support the sustainability (economic, environmental and social) of these firms. Since 2013, Stuart has been working with colleagues from across UTAS (namely the Tasmanian Institute of Agriculture, the Australian Maritime College and TSBE) on a multi-disciplinary study of innovation within value chains in the agri-foods sector. He has also recently been part of an OLT funded project exploring the impact of intensive mode teaching (IMT) on student experience. He has taught extensively at both an undergraduate and postgraduate level, in both face-to-face and distance (online) modes, as well as having taught extensively into the international programs of UTAS (China, Singapore, Malaysia and Indonesia).